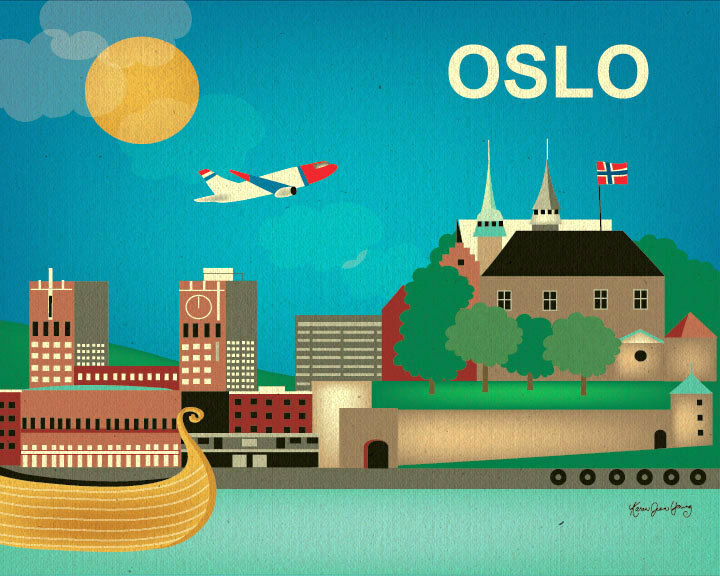 Oslo, which is the capital city of Norway, happens to be the third largest in Scandinavia. It has a rich history that can be traced back to over a thousand years. If nature tripping is what you go for, then it I definitely one of the travel destinations you have to see at least once in your lifetime; based on area alone, Oslo is one of the largest at 453 square kilometers and most of it is forest. The Tusenfryd Amusement Park is Oslo’s answer to Disneyland. It is the largest amusement park in all of Norway, housing over 30 attractions such as a 5D haunted house, large and small rollercoasters, carousels, log rides, and more. There are numerous game stations and refreshment areas within the park as well. The newest attraction as of the moment is Thor’s Hammer, an indoor 3D adventure. For those who find Viking history interesting, the Viking Ship Museum should hit the spot. This museum has two of the world’s best-preserved 9th century Viking ships displayed all year-round. History buffs can also see small boats and other artifacts such as tools, implements, and even household utensils from that era. If preserved relics from the past do not impress you that much, then pay a visit to the Norwegian Museum of Science & Technology instead. The Norwegian Museum of Science & Technology (Norsk Teknisk Museum) is a place where you can explore natural science and technological principles for technology, industry, science, and medicine. It even houses the National Museum of Medicine, which shows how improvements in medicine, public health and health care have changed people’s lives over the last 150 years. The National Gallery is where Norway’s largest public collection of paintings, drawings, and sculptures are kept. In this gallery, you can find Edvard Munch’s haunting painting The Scream. The permanent exhibitions showcase art highlights from the romantic period until the mid-1900s. Note that the National Gallery is closed during the holidays—something to keep in mind if you are visiting Oslo during Christmas season. And finally, no visit to Oslo can be complete without dropping by Vigeland Sculpture Park (Vigelandsparken). The creation of sculptor Gustav Vigeland, this area contains over 200 sculptures in granite, bronze and cast iron. Vigeland not only created the sculptures but also designed the architecture of the park itself. Over 1 million visit this park each year, which is open year-round at all times. Exploring the city is very convenient, thanks to Oslo’s very modern and comprehension system for ublic transport. All forms of public transport runs on a uniform fare scheme, and each ticket is valid for all modes of public transport. Fare is calculated based on the number of zones that you pass through on a trip; children below four ride for free, while older children and senior citizens pay half-price. A better option for tourists is the Oslo Pass. The Oslo Pass (costs around 430 nok, which is good for three days, includes entrance to many main museums within the city, as well as unlimited rides of public transport. You can even ride the ferry to Bygdoy Island for free, where you can find even more attractions in addition to the Viking Ship Musuem. With the Oslo Pass, you can get in the Viking Ship Museum, The Norwegian Museum of Science & Technology, and the National Gallery for free just by swiping it at the designated entrances. Oslo Pass holders are also entitled to a 20% discount off Tusyenwald Amusement Park entrance tickets. Ali Asjad is a travel blogger based in Stockholm. He writes about issues faced by travelers. This blog was written to address the issue of finding parkering i Oslo.